I started planting tomatoes this weekend. I didn’t plant all of them, as I am still clearing out the beds. 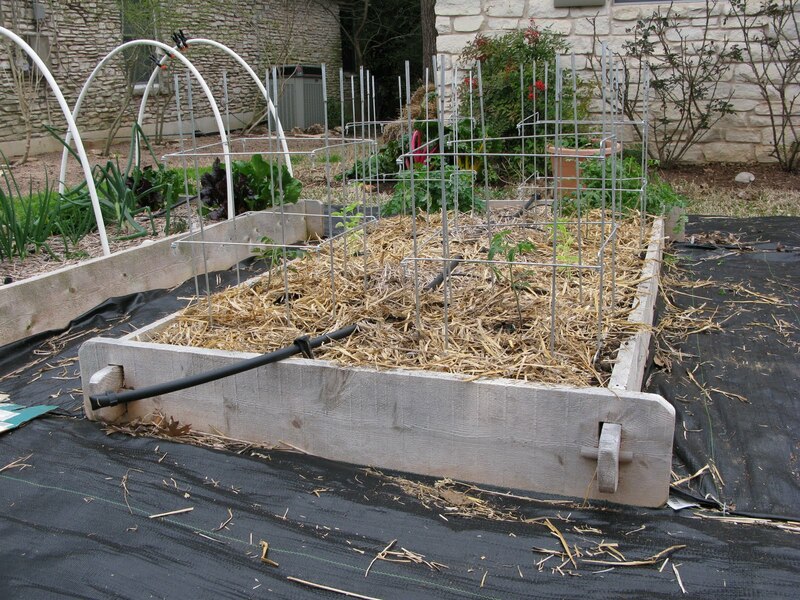 By clearing out the beds I mean eating lots of winter veggies. It’s a tough job but someone has to do it 🙂 Sunday night we had a salad with two kinds of lettuce, radishes, carrots, and kohlrabi. Monday night we had my daughter’s favorite, bacon-lemon brussel sprouts. I know it’s risky planting this early, but I have row cover handy, and actually used it Sunday. It was windy enough that I thought it would be a good idea to shelter the plants. It seemed to work as they look really healthy. I planted romas, pear cherries, and sweet 100 cherries. I decided that the swiss chard takes up entirely too much room in the beds. I’ve seen them mixed in with flower beds and thought I’d try it. This spot was previously occupied by “Purple Heart”. Although I really liked them, I like having edible chard more. The chard took quite a beating with the 80 degree temps today. I’m hoping it bounces back, otherwise, I’ll be taking a trip to “The Natural Gardener” for new plants. Here’s my new toy! 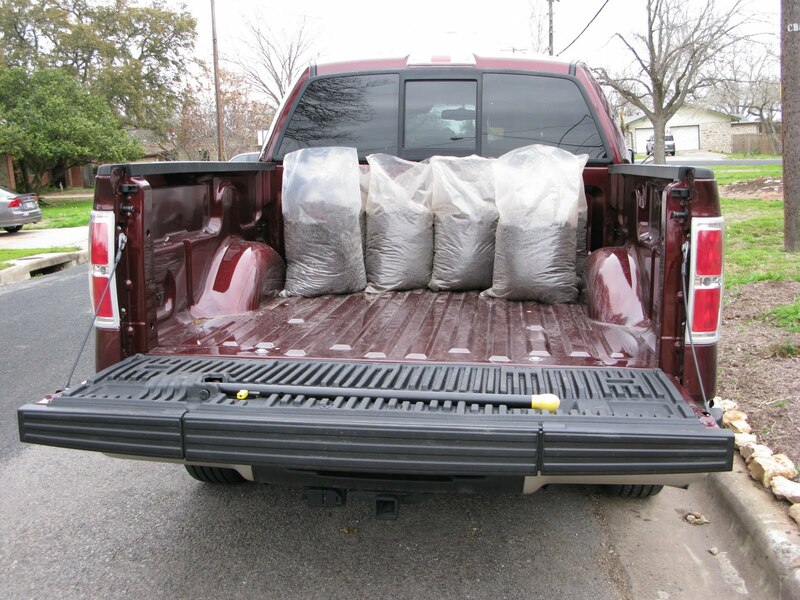 It is just amazing for hauling dirt, rocks, and plants. >Cool new toy! I love the chard's new home. I'm thinking of doing the same thing. We ate lots of greens and lettuce this weekend, too, because most are starting to bolt. >I was worried that the chard wasn't gonna make it when it hit 80 degrees last week, but it seems to be hanging in there. My cilantro is starting to bolt, which I'm not happy about. It seems way too early. I was hoping to at least have some tomatoes first. >Those are great beds! You're going to have a bountiful summer. 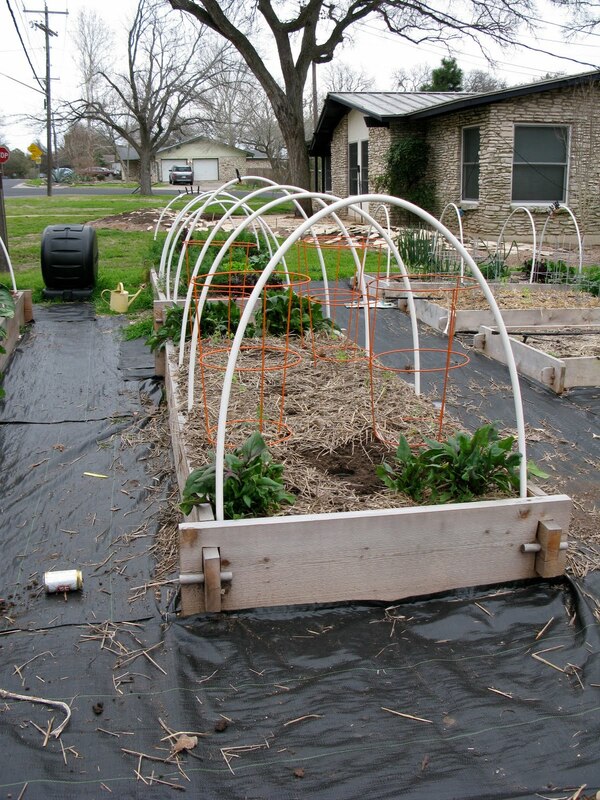 Indeed, it's helpful to keep rowcover on for a bit to protect the tomatoes from wind as much as cold. 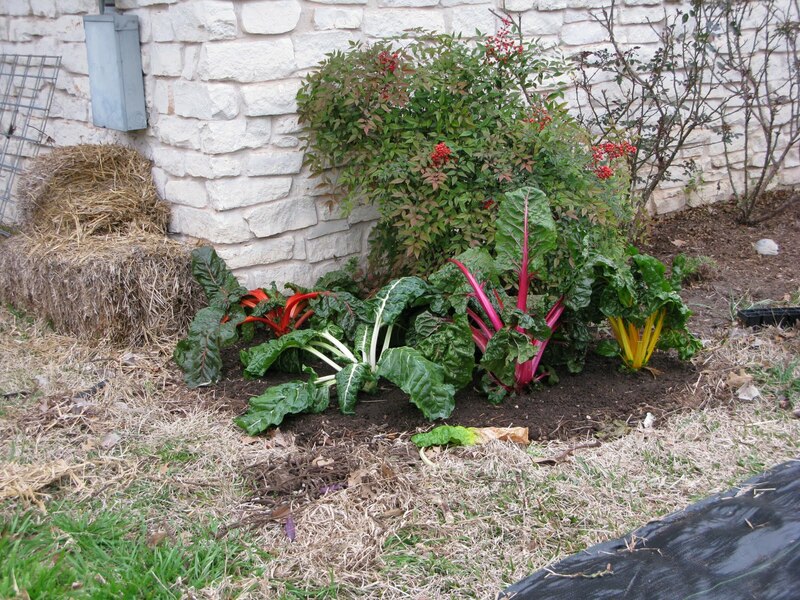 And I love planting my Swiss chard in the perennial beds. It's so beautiful it's hard to eat it.